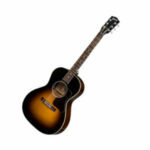 The Gibson L series is one of the most popular lineups of small body acoustic guitars. These guitars have a smaller body than dreadnoughts and jumbos. 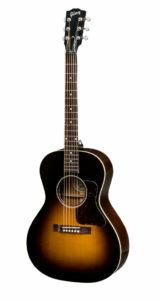 One popular guitar in the series is the Gibson L-00 which was first released in the 1930s. It can be considered as one of the best Gibson guitars in the market. Just recently, Gibson introduced the iconic grand concert guitar. There are four Gibson L-00 variations released in 2019 — Studio, Sustainable, Standard, and Deluxe. Each has its own unique characteristic, and they all differ in price. Today we are banging out all the details about the L-00 Sustainable 2019 model. The earlier L-00 models are known for its perfect balance and unparalleled projection that cannot be found in other small body guitars. Is this still the case with the L-00 Standard 2019? Find out. 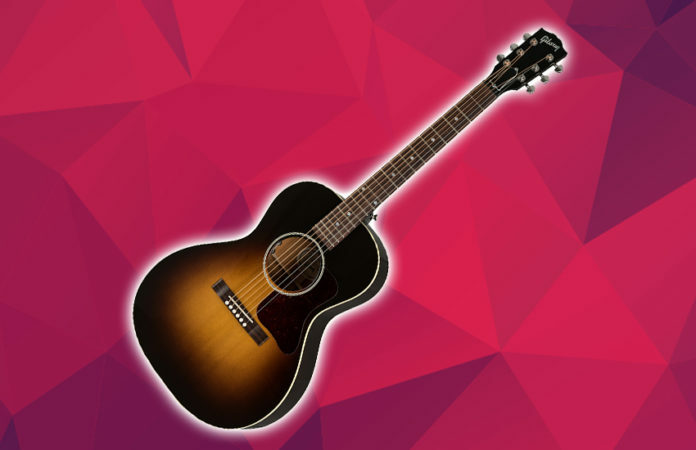 The Gibson L-00 Standard 2019 is a small-bodied acoustic guitar with a full Gibson sound. The body is made of a solid Sitka spruce top and solid mahogany back and sides. The entire body looks clean with a single-ply binding on the back and top, all coated in a vintage sunburst design with a nitrocellulose lacquer finish. Inside the body is a traditional hand-scalloped X-bracing. The rosewood bridge has a set of Tusq bridge pins and a Tusq saddle. The pickguard used is still the classic L-00. The neck is made from mahogany with a slim taper profile. It houses a rosewood fingerboard with a set of 19 frets, mother of pearl dot inlays, and a Tusq nut. On the headstock is a set of mini Grover Rotomatic tuners coated in nickel plating and a BW truss rod. In terms of electronics, you get the basic controls like volume and tone in the soundhole. You can tell by the hardware of the Gibson L-00 Standard 2019 that it is made to sound amazing. The moment you strum the Gibson L-00 Standard 2019, you will immediately know that it is a no-brainer to pick up this beaut. The Sitka soundboard was thermally aged to mimic the sonic and structural qualities of old wood. This is something pro players are looking for when searching for a great acoustic. It has a well-balanced sound; the basses and trebles are equal in range making all the registers from lows to highs have excellent clarity and definition. Just like the classic L-00, this guitar is free from fret buzzing regardless of which parts on the fretboard you will strum. The full, round, and booming sound are there for both compact and full chords. The Verdict: Should You Buy Gibson L-00 Standard 2019? No matter how we are going to look at it, Gibson remains as one of the most reputable acoustic guitar brands, and there is no messing around with it. Whether it is going to deliver a new series or a revamped version of its vintage masterpieces, the craftsmanship is almost always there oozing in the product it brings to its wide-ranging catalog. The Gibson L-00 Standard 2019 is one of the best sounding and greatest looking grand concert guitars on the market. For under $1,500, it surely is worth every penny.